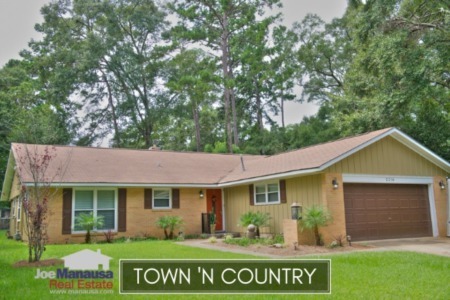 Town N Country Park is a centrally located neighborhood that offers homes in the hottest price range for Tallahassee home buyers. 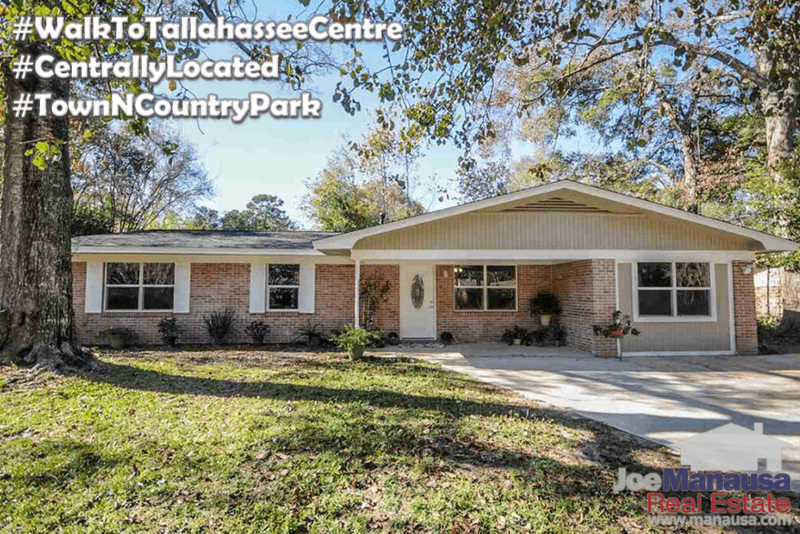 WIth more than 270 homes and within walking distance of dining, entertainment, stores, shops, and the new Centre of Tallahassee, Town n Country Park is hot with buyers for many good reasons. While 2015 set a ten-year best (in terms of the number of homes sold), sales went even higher in 2016. Right now, six homes are listed for sale and with none under contract. This is the time of year when the market heats up, but last year we had already seen four homes sold and closed by this time. The following map of homes show all current listings in Town N Country Park. 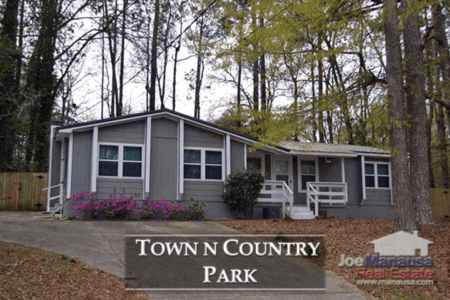 I encourage you to examine home prices, home values, and home sizes, along with a list of all closed home sales going back to 1991 to understand the current values to be found in Town N Country Park. It is important to note that the narrative contained below is for sales through December for all previous years, but through the 17th of February in 2017. The graphs and the closed sales table will be continuously updated into the future (meaning bookmark this page if you always want to know the current status of homes in Town N Country Park). Average home prices in 2016 rose above the floor established in 2011, and yet the number of sales grew too. This is a very good sign for the recovering health of the neighborhood. Through the 17th of February, there has yet to be a home sale in Town N Country Park. Average home values in Town N Country Park rose 23% last year, a combination of the housing market recovery plus the fact that many of these homes were "flipped" after renovations. Both investors and occupying buyers would be prudent to recognize that single family homes on more than a quarter of an acre within walking distance to shopping and schools will return to high demand in the near future. Builders can no longer supply homes like this to the market at prices below $300,000, yet you can get one in Town N Country Park today at roughly half the going rate for new construction. The average home size sold in Town N Country Park typically falls in a range of 1,500 to 1,750 square feet, and last year was no different. The 19 home sales in 2016 averaged 1,650 square feet. The following list shows 400+ home sales in Town N Country Park going back to 1991. I hope you enjoyed our February 2017 update on home sales in Town N Country Park, please feel free to drop me a note if you have questions not covered in this report (or if you want to sell your home today).